There are times that we want to take some time to think and assess ourselves by going on soul-searching or a retreat. By this, we look for places with soothing and relaxing views that can be perfect for a period of seclusion and isolation. Houses situated at the sea-side or with just a view of the ocean, nature, and vacation homes at the top a mountain are just some of the perfect places where it allows a time for reflection or meditation. But of course, we can always experience solitude all the time in our own houses. 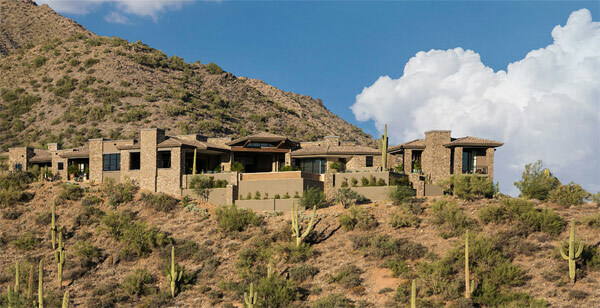 Desert mountain retreat is a resort home settled in a mountaintop located in Scottsdale, Arizona. 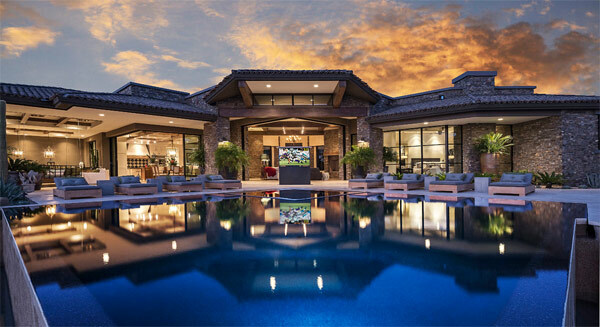 This elegant home features a five-bedroom and five-and-a-half bathroom home with villas and casitas spreading over an area of 6,000 square feet. 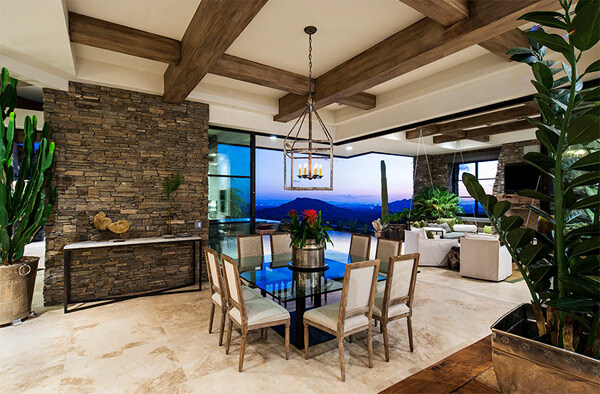 The overall design of the house is inspired with a Mediterranean look designed with materials using stones and organic materials to bring a rustic texture inside and out the house. And to take the full benefit of the wonderful views beyond, it was planned to have an open spaces installed with glass walls and retractable door all over the area. A house nestled at a mountain is a perfect place to reflect and meditate. A Mediterranean inspired house that is designed with rustic blend of stones and organic materials. 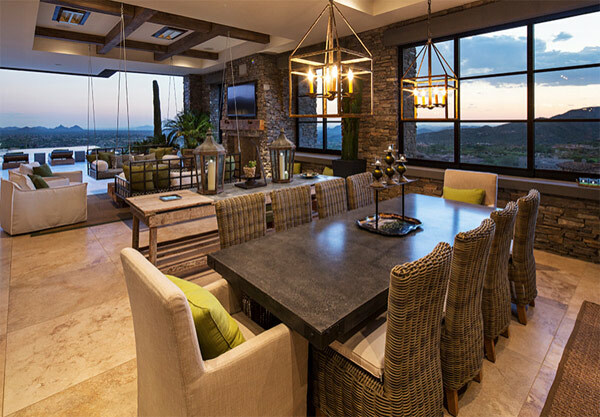 This design really exemplifies a place of refuge and the stone blends well with the environment. 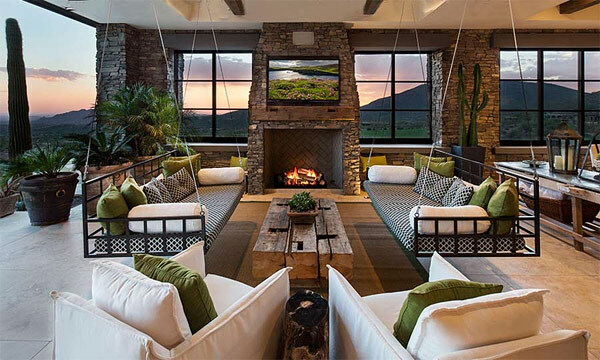 How lovely it would be to sit on those long sofa set while enjoying a breath-taking view of the surroundings. That old table lamp and wall-mounted fireplace fits well to this space giving a rustic feeling. 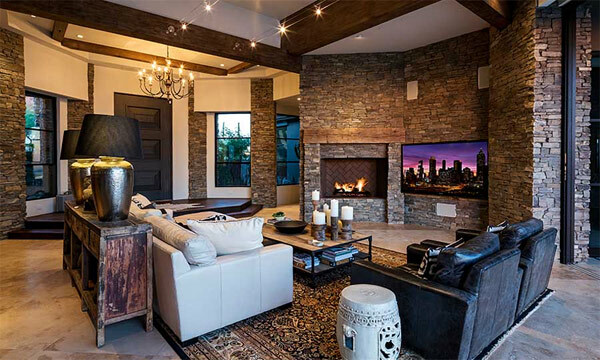 Maximizing the space with a beautifully set living room with hanging chairs, wooden center table and a fireplace that blends nicely to the viewer’s eyes. A sense of Mediterranean dining is experienced with an eight-seater square table with a glass top and mixed with a vintage chandelier. For a buffet meal, ten-seater dining table is much recommended surrounded with woven chairs and adorned with a beautiful chandelier. Those high chairs suits accordingly to these area for some wine tasting with friends and guests. 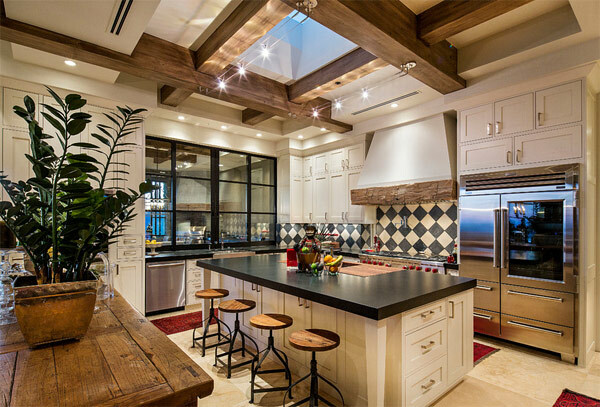 Exposed salvage wood beams with decorative stuffs made from woods is what this kitchen is composed of, adding lots of cabinet and drawers for a more organized area. Exquisite look of this double-sized bedroom is very functional; to take an advantage with the wonderful views beyond a double-sized glass windows are very attractive. 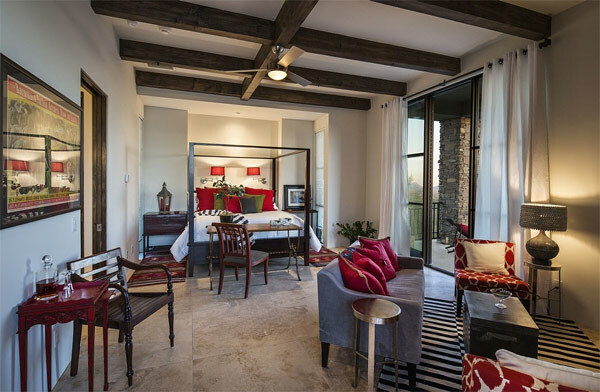 Terrace attached in every bedroom is a very brilliant idea, see how relaxing these area is! 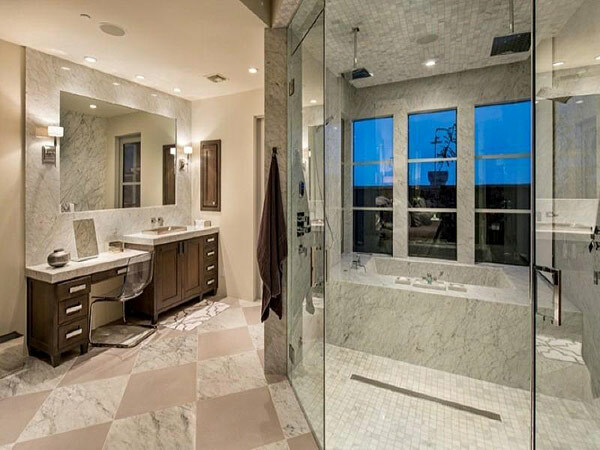 For a more functional space, the idea to separate the shower room from the double vanity sink is much of a purpose. 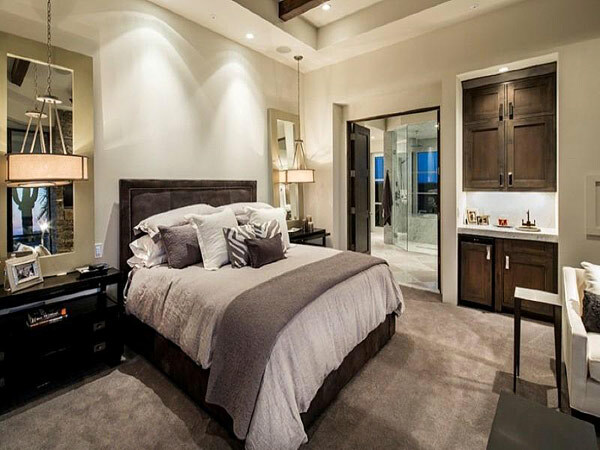 Master bedrooms are perfect with high headboards and dangling lamps making it look like a five-star hotel room. Looks very soothing in here! The room is oversized with a separate shower room and bathroom vanity. What do you feel looking into this picture? Undeniably, this is a jaw-dropping view that outlines a perfect construction. This is the focal point of all! 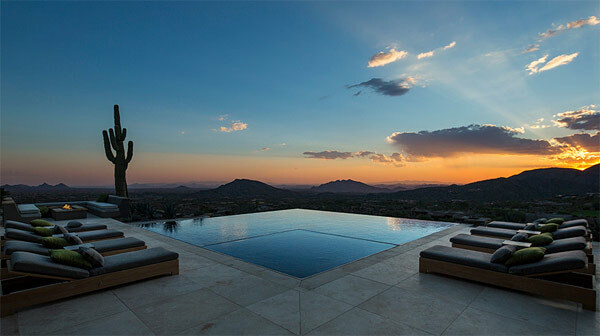 Taking a morning dive into that infinity pool that seems to have an endless size. 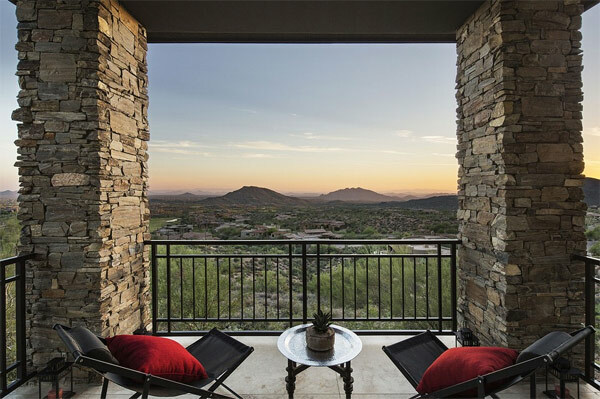 This open patio space offers more air to engulf and endless views afar. 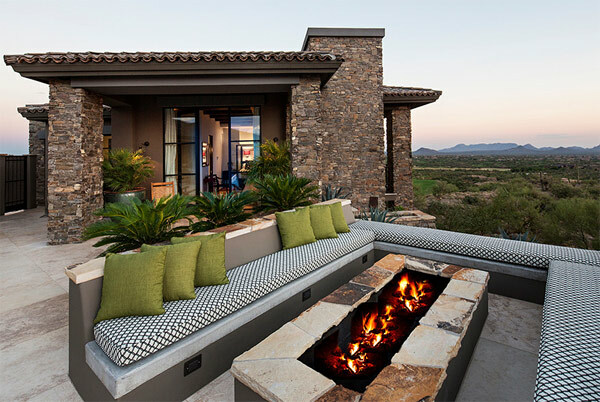 Adding a fire pit makes the area to be more dramatic. Moreover, outdoor living is eventually experienced all throughout by the enthralling room lanai, extensive poolside patio and infinity pool. The landscape and beauty of area is what motivates Tor Barstad to design this one-of-a-kind house where he fulfilled the dream of the owner.